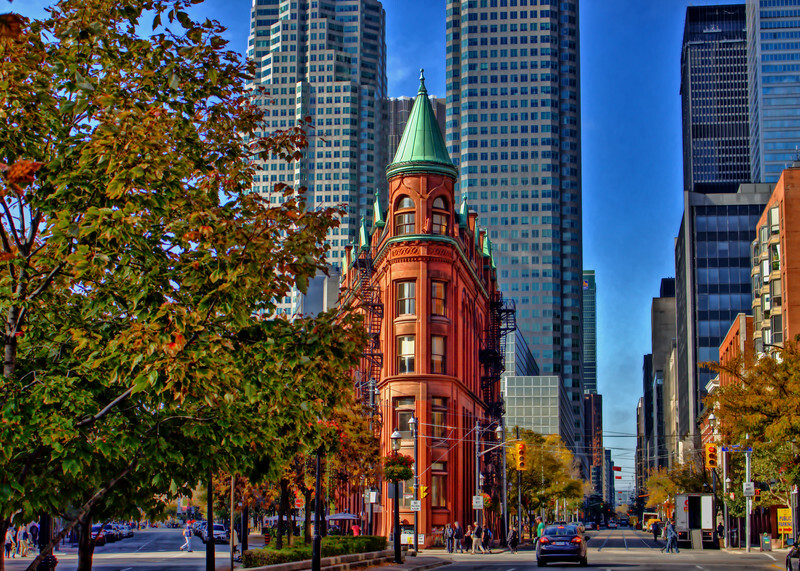 Toronto's Flat Iron Building (also called the Gooderham Worts Building) is older than the one in New York. It's located at Wellington and Church streets on the edge of the Financial District and is a Toronto icon. it is one of my most popular prints.